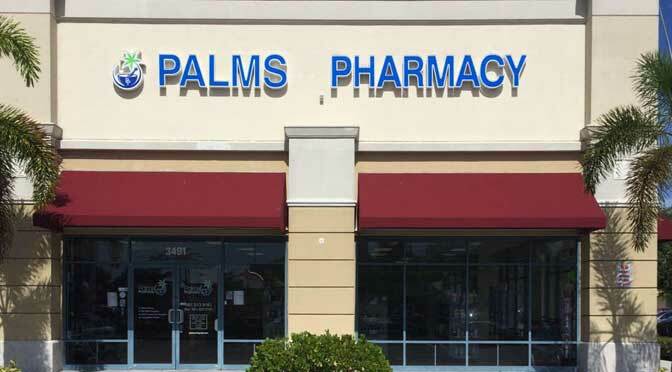 PALMS PHARMACY is located at 3491 S Congress Ave, Palm Springs, Florida. 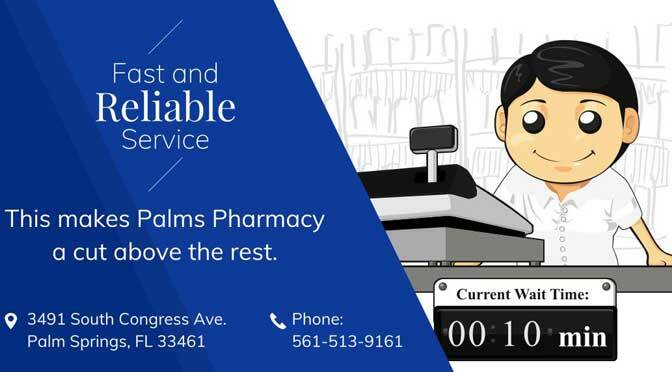 PALMS PHARMACY is owned by Anand Tripathi and wife, both are seasoned pharmacists and devoted to serving the community. 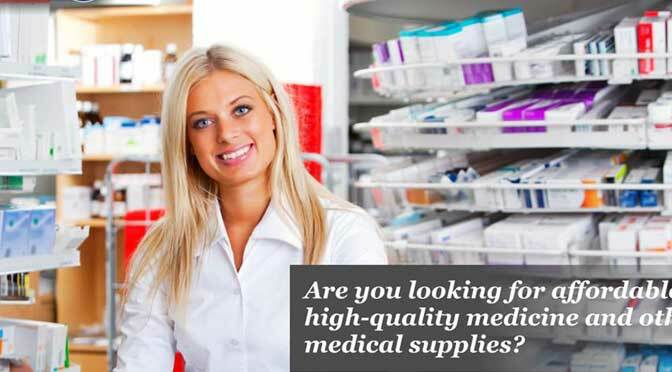 At PALMS PHARMACY, they specialize in Compounding Services and Medical Supplies. 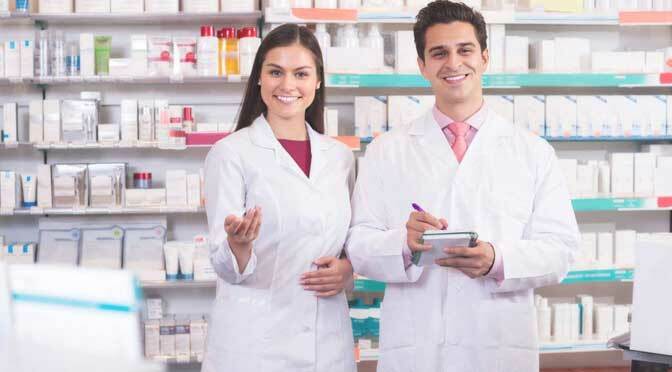 In compounding services, the major areas they provide are Women Health, Pain Management and Children health, they carry products such as Bacterial Vaginosis, Boric Acid Vaginal Gel, Atrophic Vaginitis, Hyaluronic Acid Sodium Cream, Dryness, Sodium Hyaluronate Cream, Hyaluronic Acid Gel, Endometriosis, Progesterone Vaginal Suppositories, Inflammation, Ibuprofen gel, Diclofenac gel, Ketoprofen/Cyclobenzaprine gel, Neuropathic Pain, Gabapentin/baclofen gel, Baclofen/Lidocaine/Ketoprofen gel, Scars and Burns, Diaper Rash, Chronic Ear Infection and Psoriasis/Eczema. 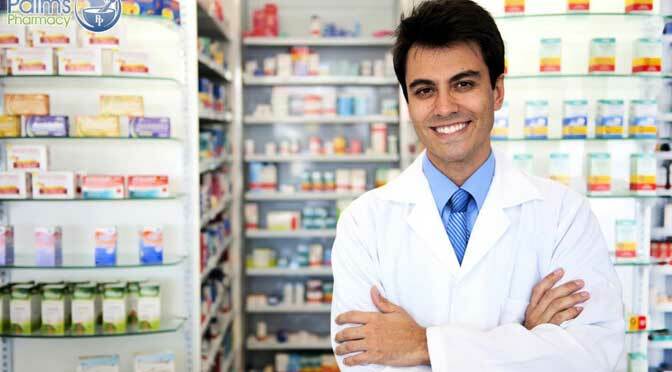 Medical supplies of PALMS PHARMACY includes Medication + Health Aids, Mobility, Bath Safety, Personal Care, Pain Management and Shop By Condition. Palms Pharmacy is located at 3491 South Congress Avenue. Palm Springs, Florida US. Palms Pharmacy is a Pharmacy type of establishment. Come on by or give us a call during business hours if you have questions (561) 513-9161. This site for Palms Pharmacy was fabricated to enhance this client's Internet presence and grow the WebPage Depot online business directory. WebPage Depot is designed for local directories and a full business directory. This free business listing site provides a fully functional website. The WebPage Depot site incorporates seven social media accounts (if available), google maps, large pictures, a contact us page (protecting the client's email address), a link to the client's original website and relevant Youtube videos. Additionally, we write an original text Welcome Message. WebPage Depot does make some assumptions, with confidence, for the benefit of the client. We write everything from a positive prospect. Our goal is to bump -up the visibility/ranking on this site to the highest level possible. Improvements to ranking come with additional relevant content. To continue this effort, we will need news from the client, i.e., menus/list of services, specials, current pictures and videos and additional text for the Welcome Message.